After a marathon yard cleanup day Sunday, I decided to treat myself to a long solo bike ride on Monday afternoon. Our long-range weather forecast doesn’t look too promising – it was time to enjoy the pleasant weather while it lasts. Plus, John had made a few modifications to my long-neglected road bike. I was excited to hit the roa. Seems like it’s been a while since I’ve enjoyed a ride like this, so I headed out of town, along familiar territory (but along a route that I haven’t been in the last three months or so). What’s this? 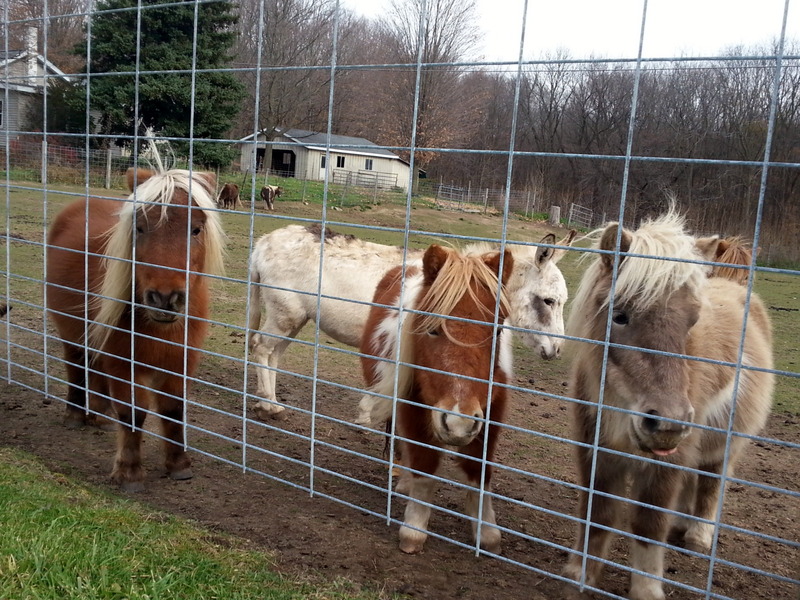 A whole field of stubby little ponies! Definitely something that wasn’t here the last time I rode this route. 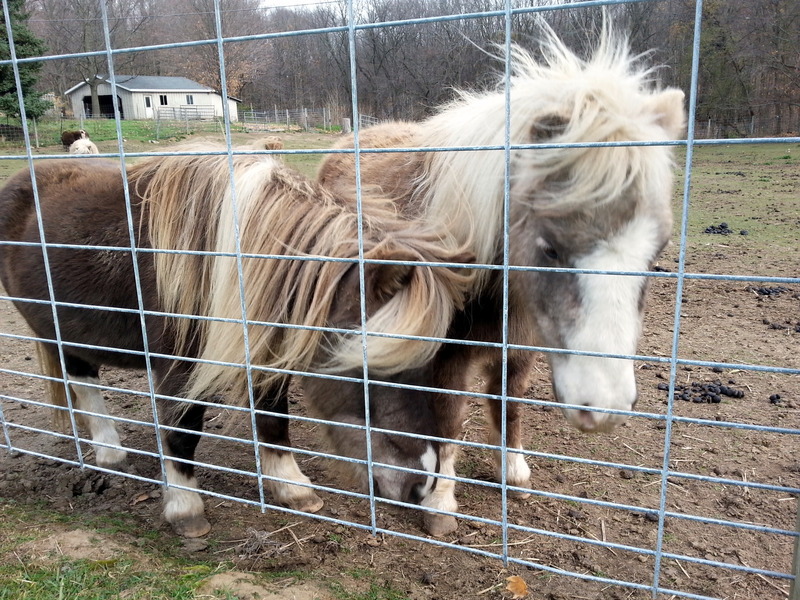 My knowledge of equine things is very limited, but I think these were miniature horses. The other option would be Shetland Ponies. In any case, they were adorable. 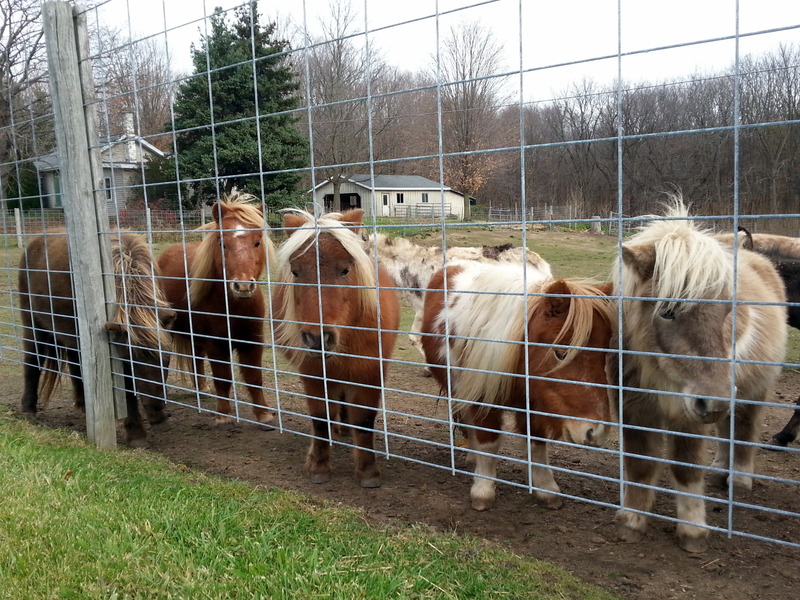 I slammed on the brakes, dropped my bike, and walked up to the fence, talking softly to the ponies. 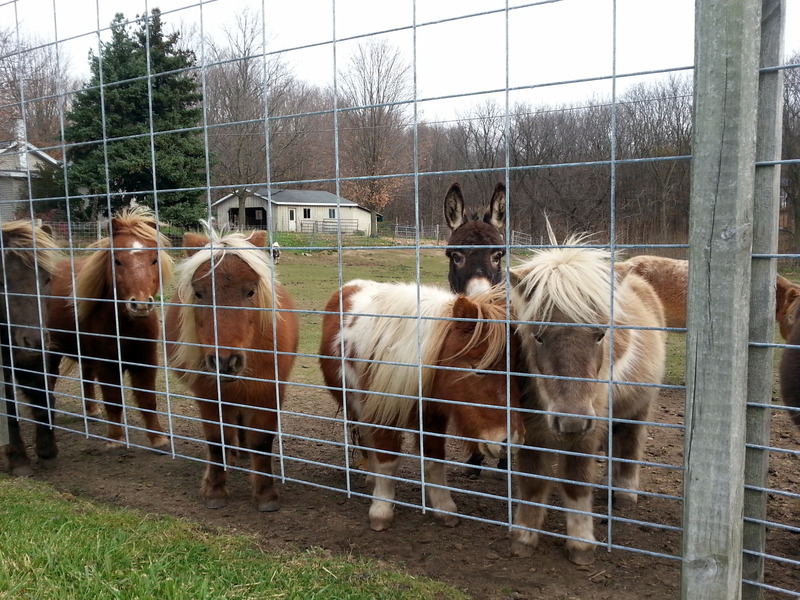 They all immediately stopped what they were doing, and wandered closer to the fence. The best thing? There were two juvenile (or perhaps miniature) donkeys in with this pack or horses who just wanted to photobomb each shot. Can you see me yet? How about now? Here I am! Then, this dude’s sister tried to run behind everyone and crowd into the photo from the far end! The entire time, they stood very calmly and watched me. These are very sturdy little critters – woolly and stout. Any one of them would make a terrific companion for Jezzy – wouldn’t it be nice for her to have someone to hang out with and round up from time to time? I would take that little brown donkey in a heartbeat – he won me over. I’ll be back to check on these kids very soon. Reluctantly, I got back on my bike and rolled on, climbing the hills, and enjoying the rush of flying downhill (with a stiff tailwind, no less!) Then, I came across a large, rolling pasture with about two miles of brand new fence installed – to what purpose I could not tell. No animals were in sight. Fencing lines always intrigue me. Ahhhh, now I know why I love my bike so much. 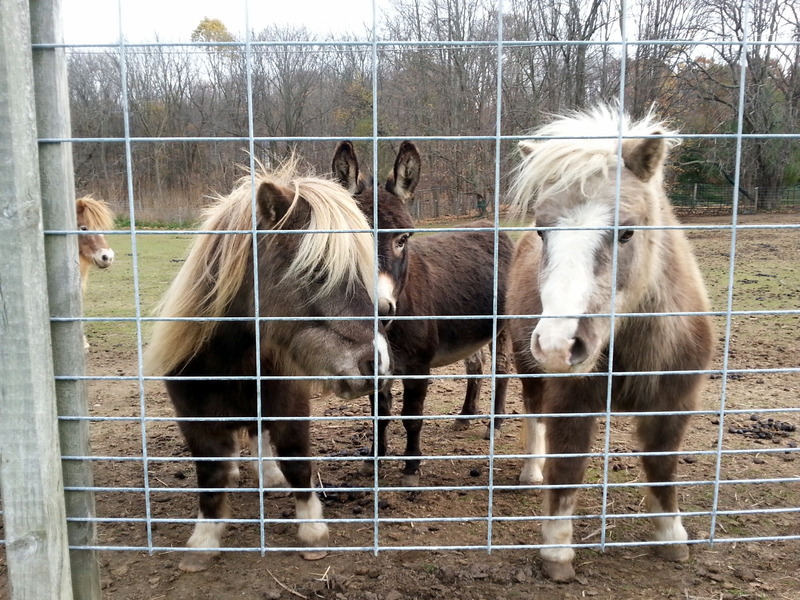 This entry was posted in cycling, great outdoors, Michigan, retirement and tagged cycling, donkeys, miniature horses by Judy Crankshaw. Bookmark the permalink. What a special bike ride! Those “kids” were a beautiful surprise. I did giggle at the photo bombing! 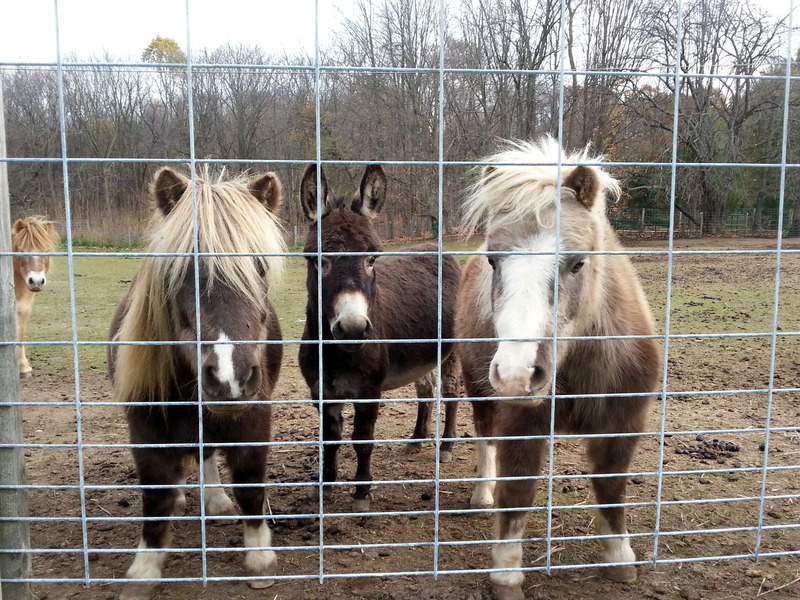 I keep thinking that my back yard must be big enough for a mini donkey AND Jezzy! My sister Gail had a pair of pygmy goats for pets when she lived in the country. She saw them and couldn’t resist the cuteness. They were black and white and adorable. That would be irresistible. Throw in a couple of ducklings, and what else would you need? I think a miniature donkey would be a wonderful addition to your camping rig. They are supposed to be fantastic at alerting you to strangers or any other unusual goings-on. However, I can see that it might be a problem to have to pull a little donkey trailer behind the fireball. . .not to mention cleaning up the interior of the fireball if you let the donkey hang out with Jezzy inside. Seems like Jezzy and the donkey could hang out in the donkey house, instead of vice versa. Such a feisty critter would be a great addition to our little caravan. Maybe you should get one, too. For Sid and Katie. And Chuck. That wouldn’t be out near Ada would it? I was at Rozelle Park a few weeks ago and saw similar miniature horses, I nearly stopped to shoot a few photos because they were so cute, and these look very much like the ones I saw. I always worry that the owner wouldn’t be too keen on having a stranger photographing their pets. I assume the modifications John made to your bike were to your liking? These are practically in your back yard, Jerry. Eastern Avenue between 84th and 92nd. 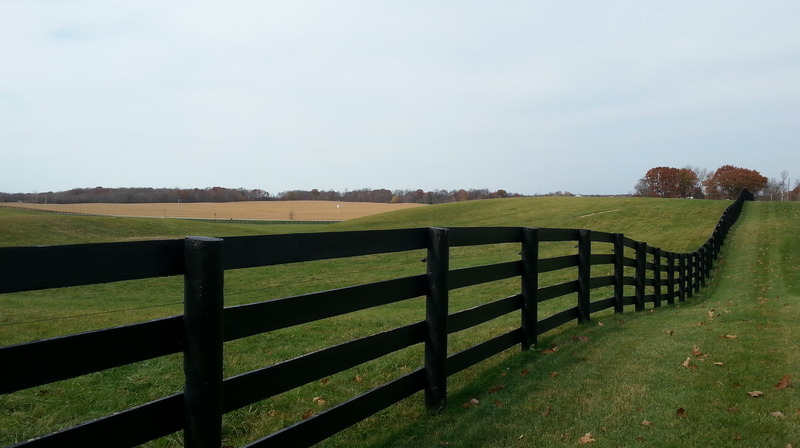 They can’t have been here more than four months – all the fencing is new, and I ride in that area often. I felt that taking photos was harmless – I didn’t touch them. Next trip, though, I’m going to knock on the door and ask if it’s okay to pet them. They are too cute to ignore. Bike mods were great. After riding my heavy mountain bike exclusively for the last few months, it was wonderful to be on such a light, responsive machine! 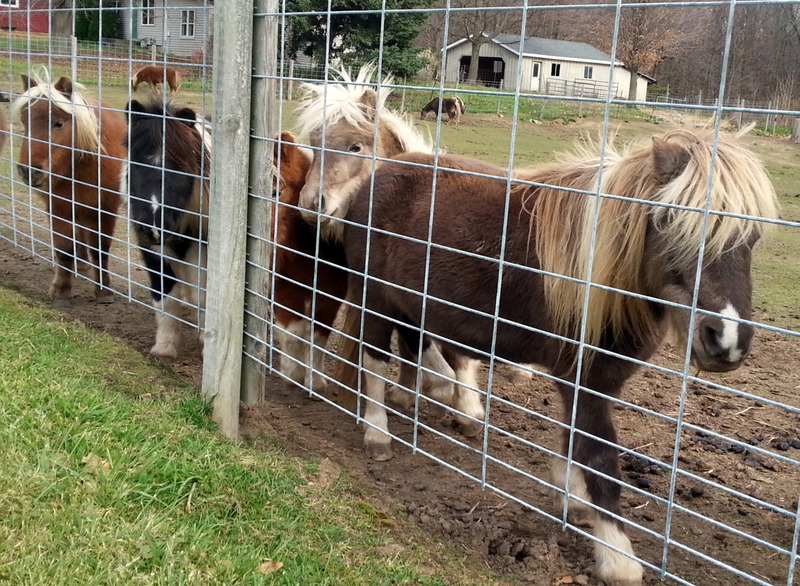 Those are miniature horses, they are too small to be Shetland ponies. 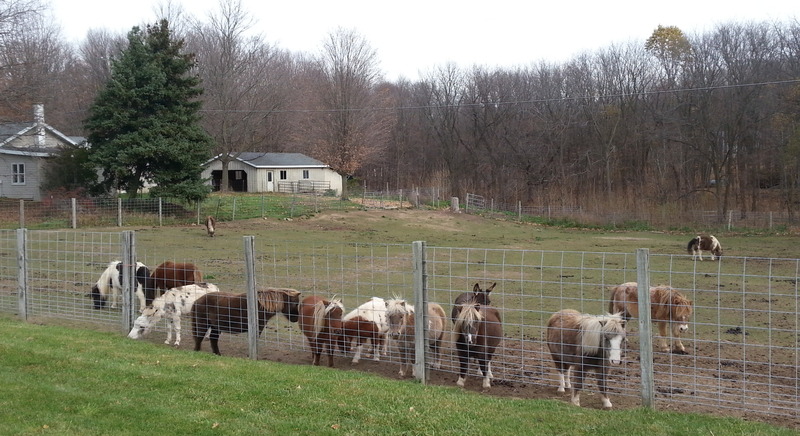 And yes, those are miniature donkeys. They are so cute! Thanks for the info. Although I’ve seen miniature horses before, this is the first time I’ve ever seen a miniature donkey. He/she stole my heart. I loved this post and the pictures! Wish I had been there. Thanks, Irene. It was so nice to stumble across this scene. Thanks, Carla. They were too cute. Cutest things I’ve ever seen. Especially that little burro. Where was this? I want one! Burro? I thought they were donkeys – will have to look this up. ;-) Eastern Avenue, between 84th and 92nd.